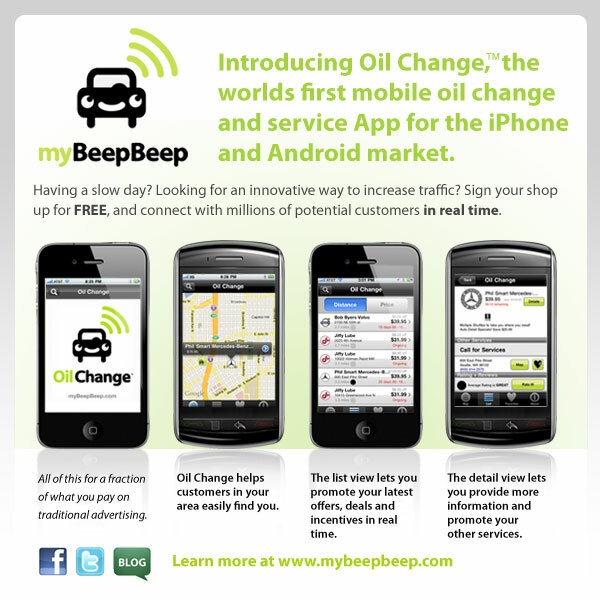 myBeepBeep Blog: We have launched! Wow its been a long exciting road but Oil Change the iPhone app has launched on the iTunes store and Phil Smart Mercedes-Benz in Seattle has posted the first of many fantastic deals for customers to take advantage of. Watch for other shops to join! I got an email from "Bryant" the yesterday that said, "there aren't any prices!!! " How it works is the shops put the prices and offers up so anyone who would like a shop to post an ad, I'd be glad to help get shops involved in your area if you let me know where you live. We spoke to some of the big franchisers this week and larger dealers to get their service departments to sign up. Look for them soon.